Making new splashback installations in your kitchen is a great way to update without going into a full remodeling project. 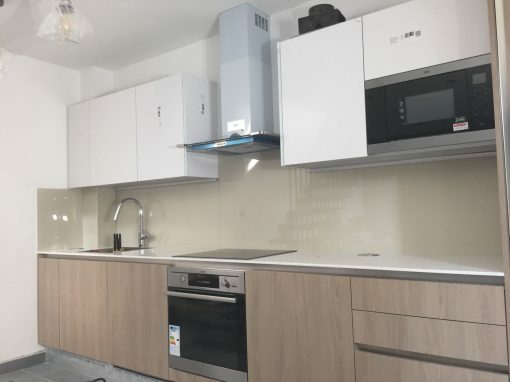 If you are looking for some really great ideas for your new kitchen splashback, then our kitchen splashbacks at Greenford Broadway is the answer? 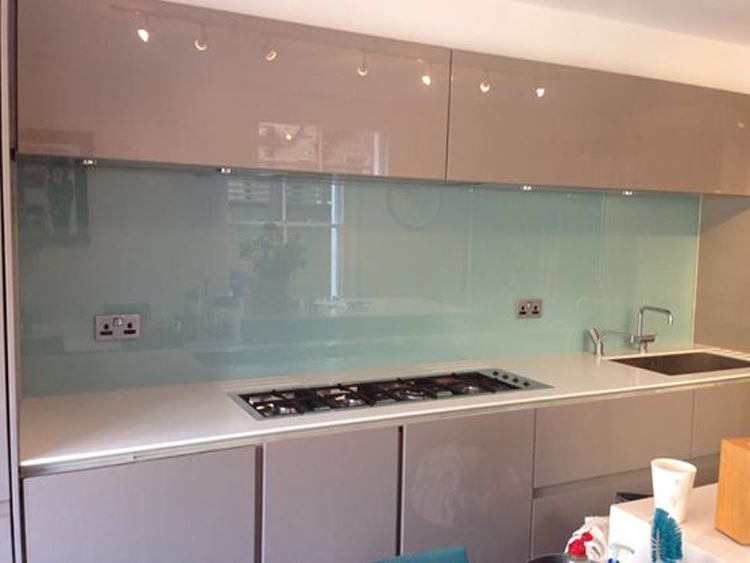 We have a collection of your favorite glass kitchen splashbacks. Once you are ready to have the installation made, all you need is to call on us, explain a little about your intended project and we would give you all available options and make your choice happen. 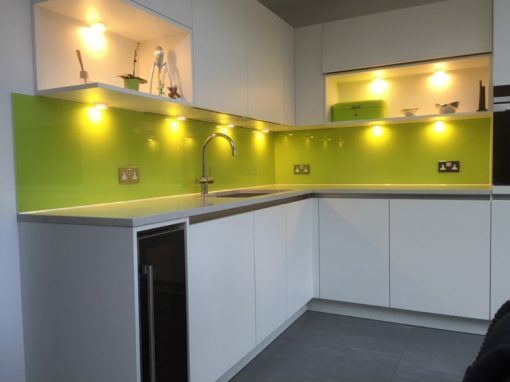 Our glass colored splashbacks come in different colors, which means you do not have to deviate from your kitchen’s theme color when decorating with our splashbacks. 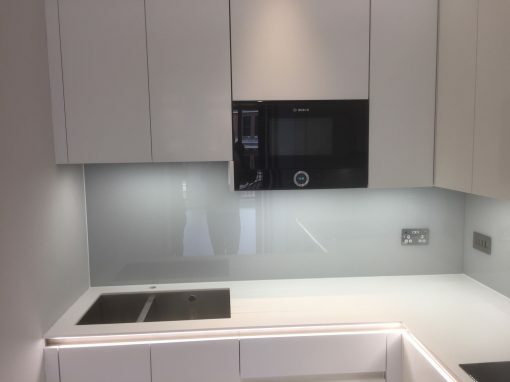 All our splashbacks come in 6mm toughened clear float or low-iron toughened glass. 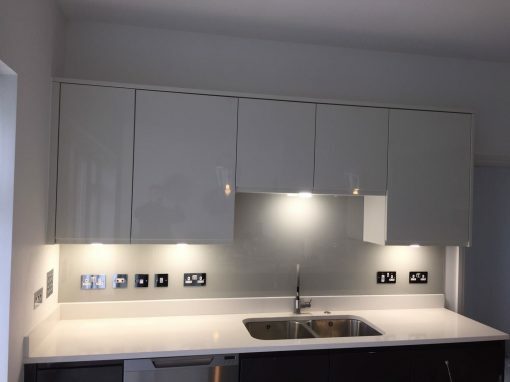 You can have your glass kitchen splashbacks back painted to the color that you choose using a type of glass paint that bond to the surface. You could make a choice of color from any paint company you wish including BS. RAL, Dulux or Farrow & Ball. Your kitchen splashbacks can equally be made more attractive by the addition of a fine silver or rainbow glitter finish to the chosen colored paint or by overlaying a printed image, patterned fabric or textured wall with a transparent glass splashback.